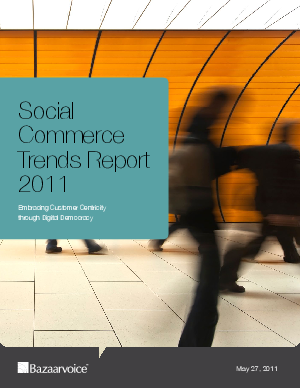 Thought leaders like Clay Shirky, Jeremiah Owyang, and Facebook's Dan Rose gathered to discuss what works and what's next in social at the 2011 Social Commerce Summit in April. Leading brands like P&G, Best Buy, L.L.Bean, and Rubbermaid shared successes and failures that will inspire the next round of innovation in customer-centric business. Discover their top predictions and advice in our free report.